In a meeting with Sergey Kislyak, the Russian ambassador to the US, WaPo reveals that Jared Kushner asked that a private, encrypted back channel be set up to the Kremlin. The report is based on a leak to a WaPo reporter from last December, which the paper has only recently managed to verify. The story raises large numbers of questions, and is hard to understand except as an indication of something fishy going on. 1. Who leaked the information to the Washington Post’s Ellen Nakashima that Kushner made this request of Kislyak, back in December of 2016? Was it someone, as alleged, at the National Security Agency or the CIA who heard the information from a tap on Kislyak? 2. Why did Kislyak reveal this request to the Kremlin on an open channel that he must have known was under US surveillance? Was he trying to sink Kushner or Trump? Is there some sort of double sting going on? 3. Why did Kushner (and Trump?) want a secret back channel to Moscow? For what purpose? What did they want to discuss with Vladimir Putin that they did not want US intelligence to know about? 4. 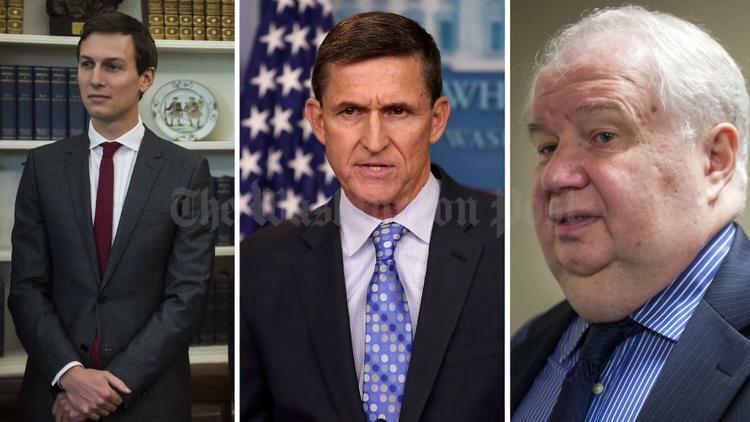 Michael Flynn is alleged to have told Kislyak around the same time that Trump would lift sanctions on Russia that Obama had slapped on because of the annexation of the Crimea. What did Russia do for Trump as a quid pro quo? Was the back channel related to the lifting of sanctions? 5. Kushner is known to have been involved in manipulating social media into supporting Trump or dissing Clinton. Is his mastery of psy-ops related to his role with Russia? It is alleged that fake news about Hillary was fed to RT and Sputnik by an undercover pro-Trump team, and that RT etc. then broadcast it to social media, targeting states Trump needed. Was Kushner a conduit to Russia in this regard?